Hot off the press every day, Voice of Ham Radio Daily features the latest news & views from Ham Radio and beyond. 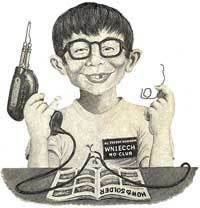 Equipment to contests to high tech to boat anchors....Voice of Ham Radio Daily has it all. Edited by Pete Thomson, KE5GGY.